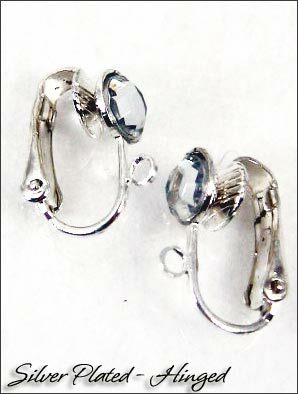 Features:I made these clip earring findings a request from a customer whose Swarovski earrings broke. 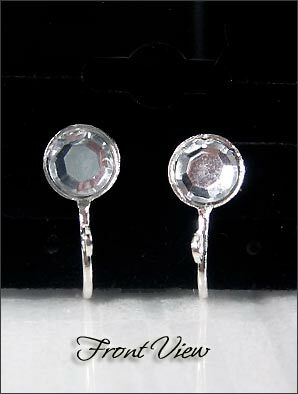 They are based on silver plated hinged clips with a lovely sparkling Swarovski bead, the bead is clear and faceted so it gives a beautiful sparkle! They work very well with Crystal based earrings and also to fix or repair rhinestone earrings (as long as their is a loop at the top). Nickel based or plated clips are not recommended for individuals with allergies.